*full disclosure: a DVD screener of this film was provided by Gas Mask Films. Cast: Greg Bronson, Annalise Cavender, Elisabeth Cavender, Gabrielle Stone and Ian Cavender. (review here). This earlier feature was light on action and heavy on confusing messages. Roze's second feature, Speak No Evil, might be even less straightforward. This title deals with an assault on the town of Superstition and the identity of the attacking forces is never revealed. Heavy on action and light on explanations, Roze's latest outing is only slightly recommended. The story's protagonist is Anna (Gabrielle Stone). Anna is the single mother of a young daughter, Joey (Olivia Cavender). Joey goes missing, after Anna sees something digging itself out of her backyard. Then, all of the children in Superstition disappear, until they trek back to town in Act II. Here, in Act II, the film ups the tempo a bit as the children turn into the possessed. They claw and bite their way through the townsfolk, in gruesome fashion. Who is controlling these children? Who knows? The focus here seems to be on the action and driving the film forward. Though, the film sometimes relies on gore and violence to get itself out of dialogue heavy scenes. For instance, the character Dale (Mario Guzman) is talking with Anna about their daughter. Then, that daughter is clawing out dad's eyes. How is that for an interaction? A few scenes of dialogue and character development are not always a bad thing. The last third of the film is action heavy as children terrorize their small town. The violence here is child versus parent and this viewer was reminded of the remake Come Out and Play (2012). Kids drive much of the gore onscreen, in both films. Some of the blood and gore is affective and much of it does not serve the story all that well. And, the origins of the story are opaque. Are the children being turned into feral monsters because of the Devil? Creatures emerge from the ground and priests rattle out sermons, but there is no solid evidence to suggest that a demon is leading events. Is there an alien being pulling the strings of the young townsfolk, in Superstition? There are several shots of space and distorted creatures. But, there is no way to say for sure that there is an extraterrestrial presence in the film. Is there something in the well water around Superstition, a la the Salem Witch trials? There is no evidence of this; yet, something must be driving these kids to murder. So, this viewer will choose the alien invasion theory. However, there is not enough evidence and allusions in the writing to make one proposition more likely than another. 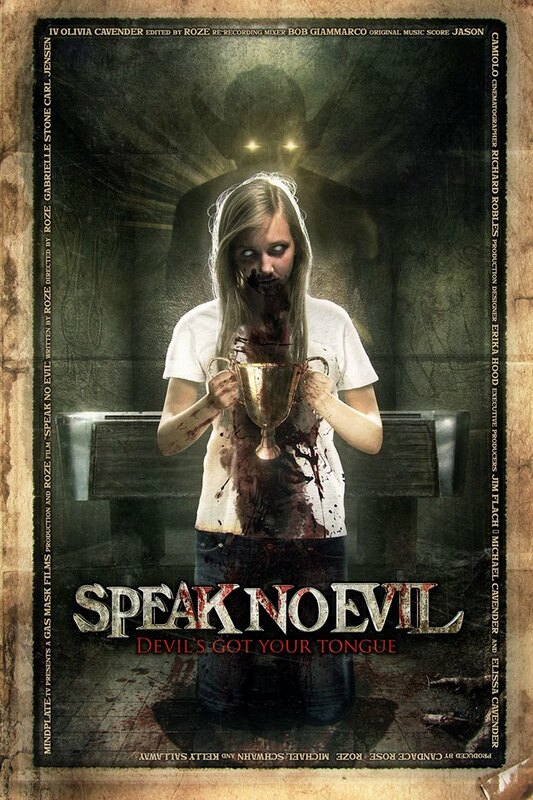 Speak No Evil is a fairly standard indie horror feature. Roze has really stepped up the action in his second film. But, both of Roze's features, to date, are left open to interpretation. The answers are not given to you, if there are any answers to give at all. This title runs a little short at seventy minutes, but some horror film fans might find something of interest here. 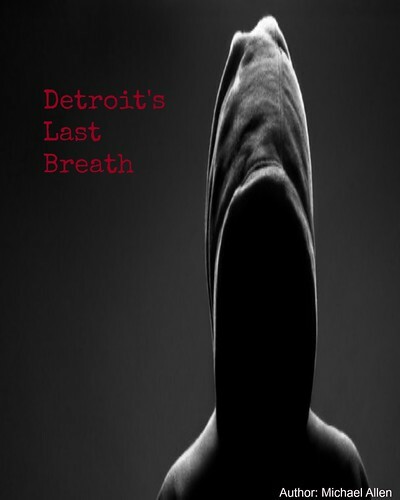 There are no pacing issues and the film moves ahead quickly. The acting is fairly average. Actress Stone seems more content to scream her lines. And, there are several scenes involving incessant screaming from the children in this title. So, viewers might want to turn the volume down on your home entertainment systems. Overall, this viewer thought the film was, simply, okay. Roze is still early into his directing career and this second feature has many faults, but far fewer than his first film, Deadfall Trail. Speak No Evil blends a few genres together: killing kids and zombies. However, there are no reasons given for the action and some viewers might be scratching their heads as the credits roll. This viewer thought the film needed better characterizations, but others might be satisfied with the bloody spectacle of the film, alone. Overall: 6.25 out of 10 (a few gory scenes, the protagonist is not that likable, open conclusion and unexplained plot details).